The opioid crisis, which killed more than 63,000 people in 2016, is affecting issues and policies beyond law enforcement and health care. No matter the topic of discussion with constituents, from education to transportation, “we always end up talking about addiction and what is happening in our small communities,” Sen. Lisa Murkowski, Republican of Alaska, said at a Senate Health, Education, Labor and Pensions Committee hearing Thursday focused on the crisis’s impact on children and families. The session, in a packed-to-capacity hearing room, focused on problems ranging from the need for better care for babies born addicted to opiates, to how to reform the foster care system and try to keep families together while protecting vulnerable children. The House Education Committee last year had a hearing on the same issue, including testimony from a Maryland school superintendent on the “dramatic change” it has brought to his district. The need to better educate teenagers about the dangers of opioids: Teens don’t understand that legally prescribed medicine, misused or used by people for whom it wasn’t intended, can be just as lethal as street drugs, said Becky Savage, founder of the 525 Foundation. Savage, of Granger, Indiana, started the foundation in memory of her two older sons, Nick and Jack, who died on the same night in June 2015 of accidental overdoses of opioids and alcohol poisoning after a day spent at graduation parties. Jack had just finished high school, and Nick was home after completing his first year of college. Both were standout high school hockey players; 5 and 25 were their jersey numbers. Young people “don’t understand that you can die from one time trying something,” as her sons did, she added. Parents should begin conversations, and teenagers tend to respond better to real stories than to a barrage of statistics, she said. 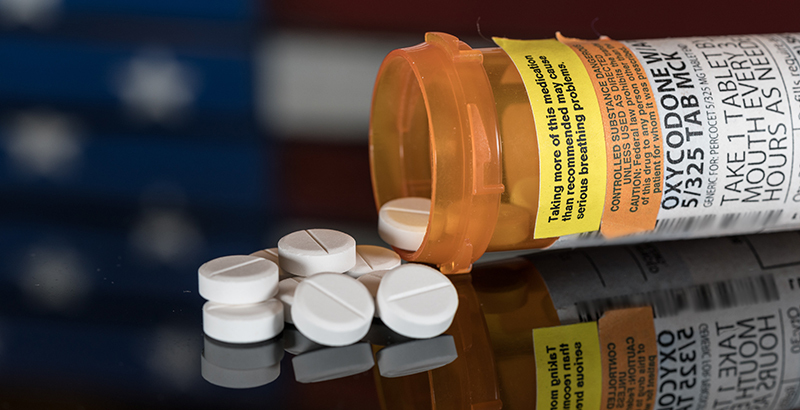 Additional school-based programs: Mental health programs and after-school, community-based programs will be essential for helping prevent teenage use of opioids, witnesses said. “Schools have always been and should continue to be a core frontline institution in whatever ailments we’re [seeing] in our communities,” said William Bell, president and CEO of Casey Family Programs, a foundation focused on reducing the need for foster care. Schools should also change their approach toward discipline, from one of policing to one of protection, Bell said. “Our schools should not close down at 3. Our schools have to become that school-based community center,” he added. More support for grandparents and other family members raising children in foster care: After years of decline, the number of children in foster care has risen in recent years, with many in the care of relatives. More than 437,000 children were in foster care at the end of fiscal year 2016, according to the federal government, an increase of about 10,000 from the year before. Of the 15 categories states can report for why children were removed from the home, parental drug abuse saw the greatest increase, from 32 percent to 34 percent. Grandparents in particular — who are raising an estimated 2.6 million children, many outside the foster care system — may struggle with issues like navigating the school system, Sen. Susan Collins, Republican of Maine, said. The committee will consider a number of bills in the coming months, Republican committee chairman Lamar Alexander said, including a measure to ease regulations at the National Institutes of Health to do more research on non-addictive painkillers, and one that would study how to better support grandparents raising grandchildren.